Last year I got to playing around with the tarp over a net tent concept. Initially I paired a BCUSA 10x7 with a Bear Paw 1.5 Net Tent. Eventually I moved from the 10x7 to a 10x12 to give myself a larger vestibule area to take refuge during inclement weather or to cook in. 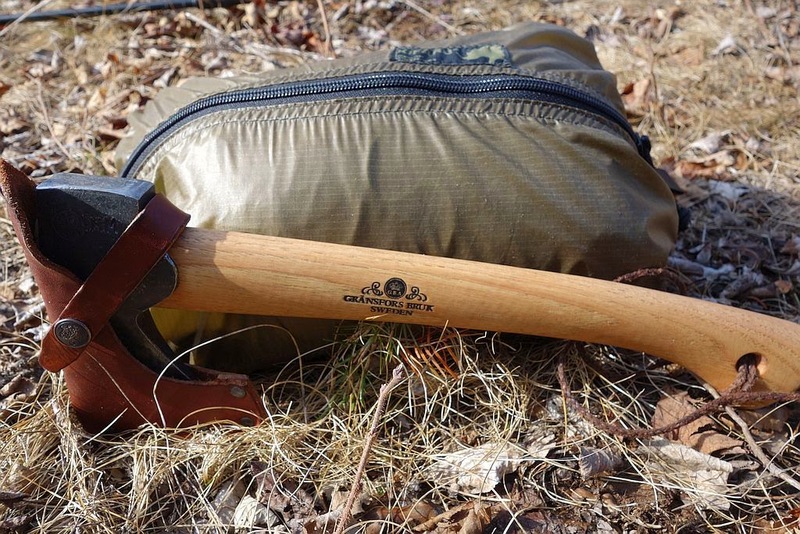 It's a relatively small bundle, I carry mine in a large Kifaru KU pullout shown below with a GB Wildlife Hatchet for size comparison. My cordage and stakes along with the 10x12 tarp and the 1.5 net tent fit inside the pull out with room to spare. Since I went to the 10x12 UL tarp the weight went up, the new weight with stakes (titanium) and cordage, net tent and tarp is 2.55 pounds. When executing the setup I start by staking the four corners of the Net-tent. 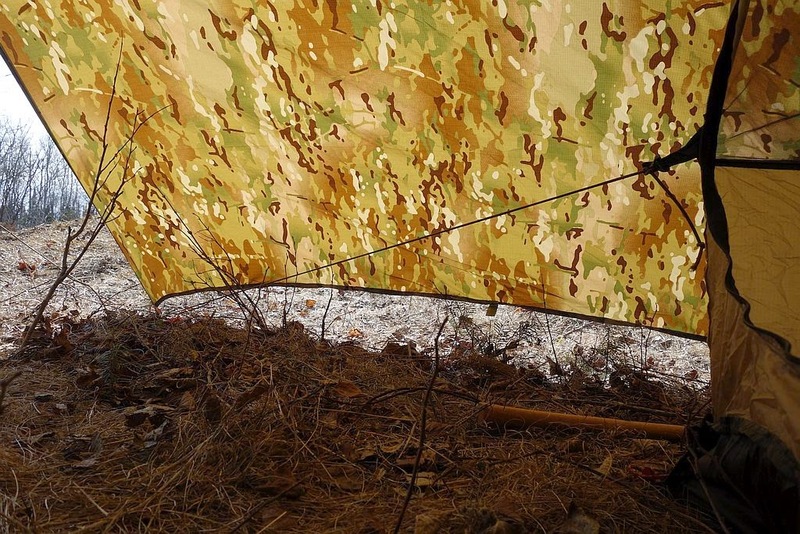 Once that's done I'll get the trekking poles up and staked and the tarp over the net tent and staked out. 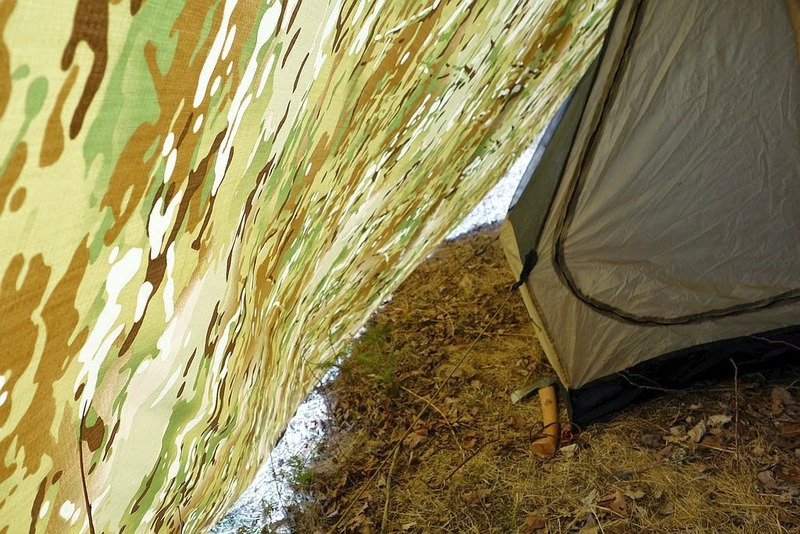 In the image below this is the look of the 'vestibule' that is created by using the 10x12 over the tent. I do cut a stick to fit height-wise right in front of the door. This helps create some head room but also better defines and secures the 'vestibule' area. 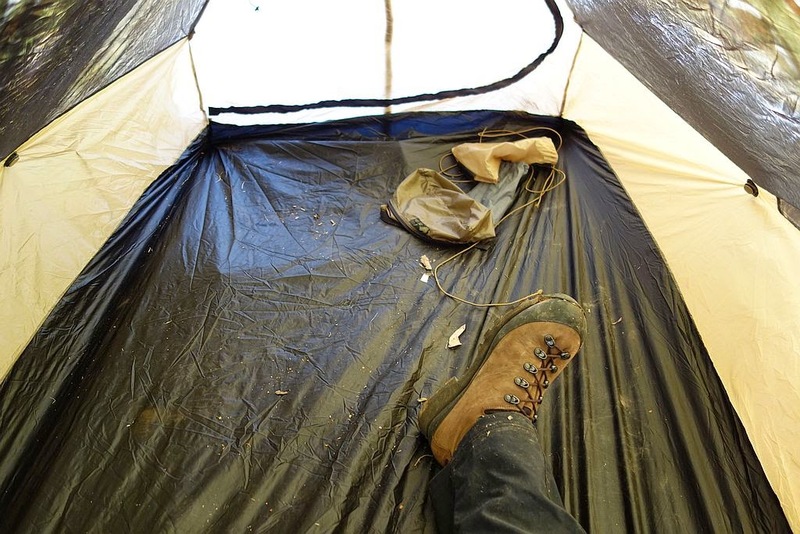 The vestibule area is quite large, I haven't measured it but I think there is between 30 and 35sf of protected area to store gear, remove boots, cook over a stove etc etc. There is also some decent storage space along either side of the tent, between it and the tarp wall. Space inside the 1.5 is more than enough for one person, below are some images that illustrate that. Sometimes I setup with a taper from the front to the rear, particularly when I expect wind and have it coming from the rear, this channels the wind around me and is structurally better than having the wind against the side. I keep the tarp walls tight to the ground in colder or inclement weather. 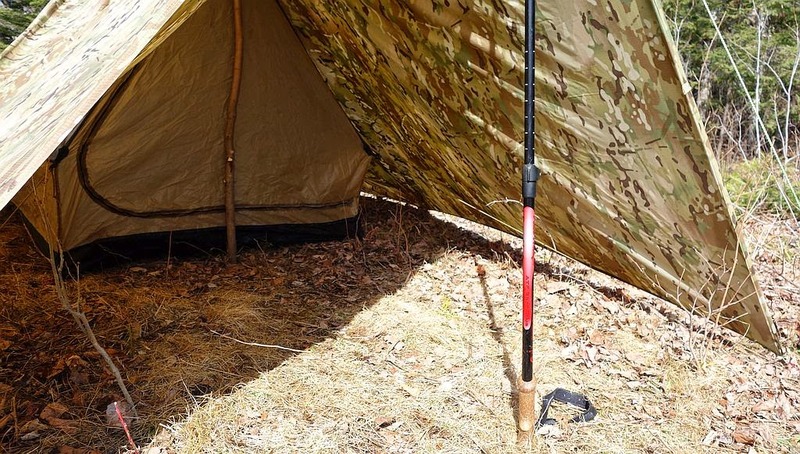 Stake them further out on cord when there is fair weather, this improves air flow through the shelter. 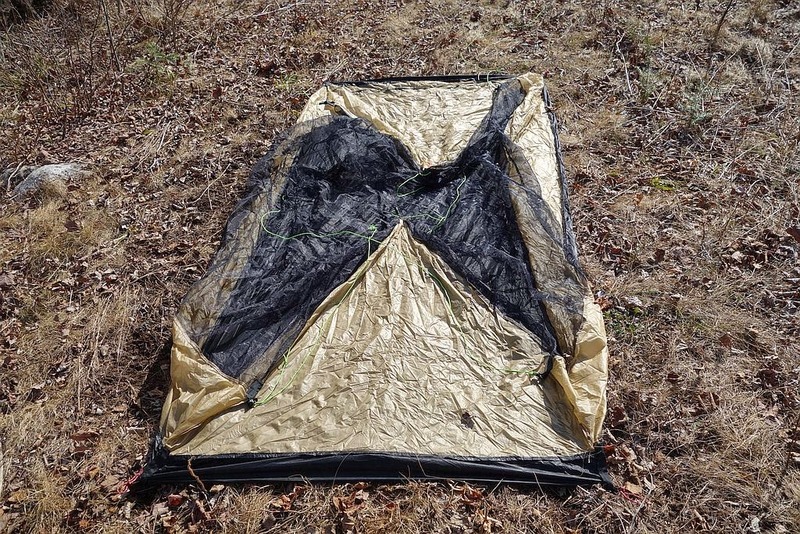 The rear corners of the net tent are simply tied to the tarp tabs as seen below. This gives you the lift on the vertical walls in order to have the bathtub effect. When running a taper from fore to aft the high point of the net tent being less than the front causes some droop to the side walls. Doesn't hurt anything and there is still more than enough head room. I believe I have about fifteen nights under this setup so far and learn something new every time I set it up. 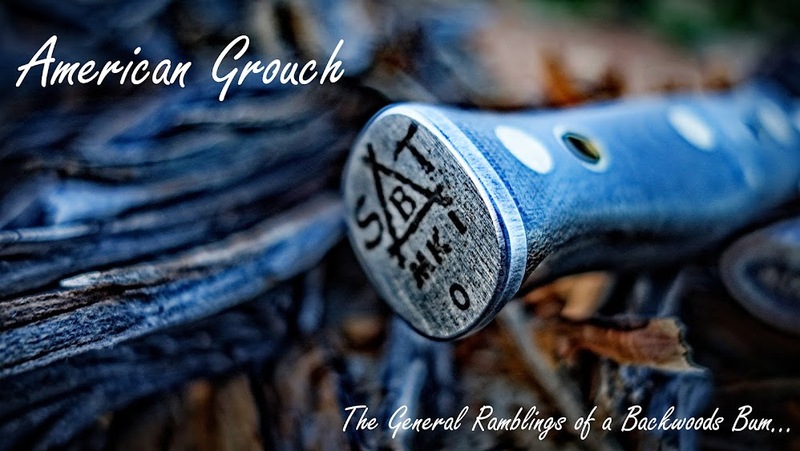 I think it offers an incredible amount of versatility while maintaining a lightweight and small packable size. It can be really opened up with the tarp high and basically more an awning type of setup or battened down during storms. It can be set without trekking poles as well. 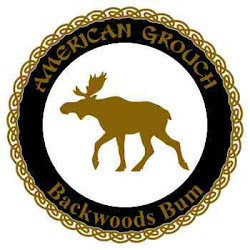 Once I decided that hammocks weren't for me I started looking for something that could be used year round, bugs or no bugs, was very versatile, not too heavy, didn't need tent poles, could be used with or without trekking poles, this is where I landed. If you're looking for similar at a reasonable price and weight this is a great option. Awesome! Thanks for this. Hadn't heard of the bear paw net tent before. Your setup looks great. I think I'm going ot have to copy it. Pretty idea in my opinion. That's an excellent system. I have to keep that one in mind. 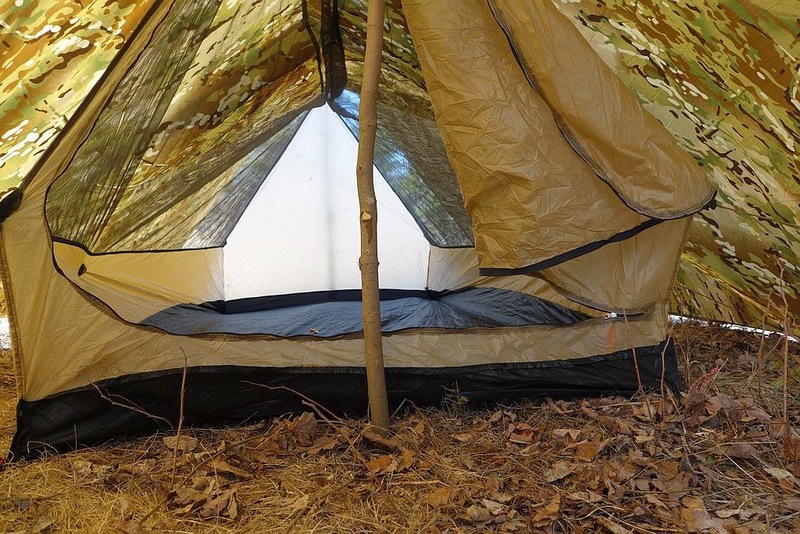 Does your tent have the cuben sides, floor, and doors? What weights of material did you go with? Thank you for the great reports you put out! And the quality photos! Cro. . How is it holding up? Things you like or dont like now that you have had it for awhile? Plan on using this with my young son to float/camp river beds. Do you think the 2 will be plenty big? Really nice and lightweight setup. 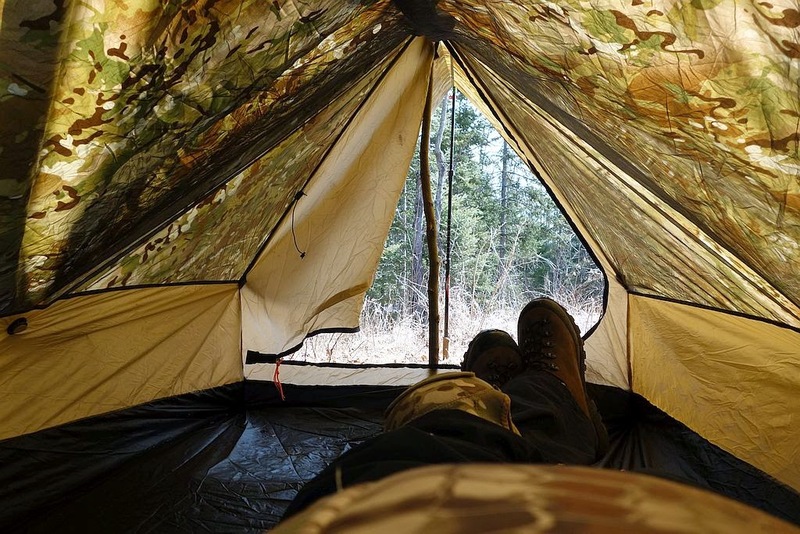 What do you think would be the coldest you can go in this tent? Obviously a sleeping bag plays a big role as well. Is it resistant to storms and general bad weather? I am thinking about updating my camping equipment, therefore all the questions. Looks like this tent is very strong.